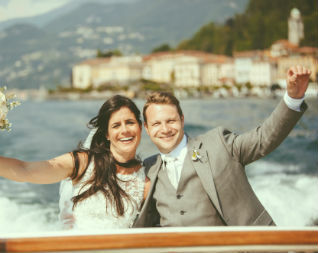 Legendary Lake Como, with it’s phenomenal panorama, sunny climate, exquisite cuisine and fabulous wine, makes it one of the world’s top luxury Wedding destinations. Nestled in the hillsides and shorelines are historical Villas, traditional restaurant, rustic ceremony locations, and characteristic contemporary settings. All these create a timeless Italian atmosphere, perfect for an unforgettable Wedding. We are proud to have in our extended team, the finest vendors in the Wedding and event business. Our collaborative philosophy ensures that every Wedding is unique and tailor made for you.